When you are making an effort to lose weight it can be difficult to find weight loss friendly snack foods. Generally snacking when you are trying to lose weight is a no-no. But weight loss should be about what you get to eat not what you don’t. Hunger and deprivation is your enemy if you are trying to lose weight. Speaking from experience when you are hungry you tend to make bad choices in the food department. Snacks, when you are trying to lose weight, don’t have to be tasteless, like cardboard and completely unsatisfying, in fact, it is better for you if they are not. It’s true – nuts are quite high in calories and fat, but they are NOT fattening, unless you eat more than you need. The nuts we are talking about are not sugar or honey coated. Those probably are fattening. Nuts also contain protein and fibre, which means a small amount can go pretty far in terms of filling you up. You also get the bonus of added vitamins and minerals. Winning! As with nuts, studies show that people who tend to eat more fruit, tend to be healthier. 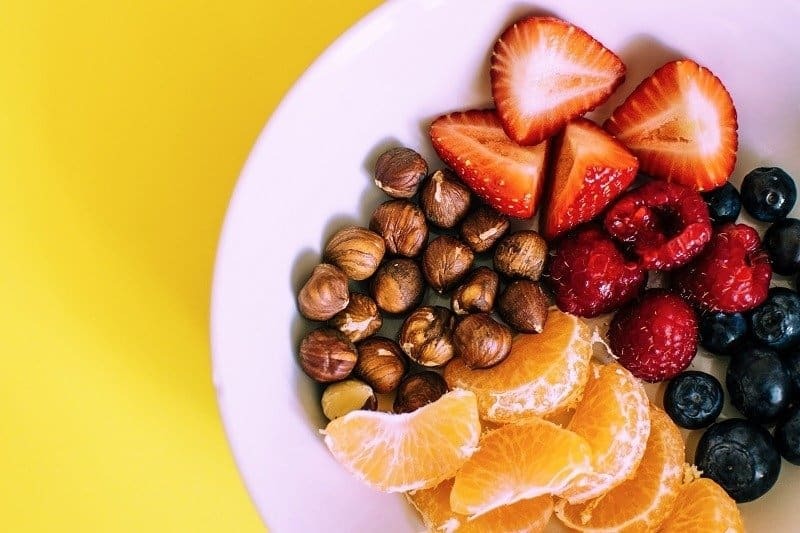 Yes, fresh fruit contains sugar, but whole fruits (I’m not talking juice or sweetened dried fruit) also contain a fair bit of water and fibre and good nutritional value with vitamins, minerals, and antioxidants. And fresh fruit is low in calories. Try a variety of fruit and pair that with a handful of nuts. Low sugar fruits include – raspberries, strawberries, blackberries, grapefruit, watermelon and kiwifruit. Chia seeds are not only super high in fibre, but they also contain protein and omega-3 fatty acids. As well as antioxidants, calcium, and magnesium. They also absorb a lot of liquid, so by soaking them for a few minutes in a milk of your choice, you can make a delicious pudding. Tip: Put two tablespoons in a bowl with ½ cup of nut milk and wait a few minutes. Add in some berries, chopped fruit or nuts, and/or cinnamon and enjoy! This is a fantastic quick option you can make the night before and grab and go for breakfast the next day. They contain a lot of high-quality protein and a good number of vitamins and minerals. I love them on one of the Minute Muffins that I make. Veggies contain fibre and water to help fill you up, as well as vitamins, minerals, and antioxidants. Photo courtesy of my daughter @obsessedhealthfreak Check out her Instagram, this girl is seriously healthy! 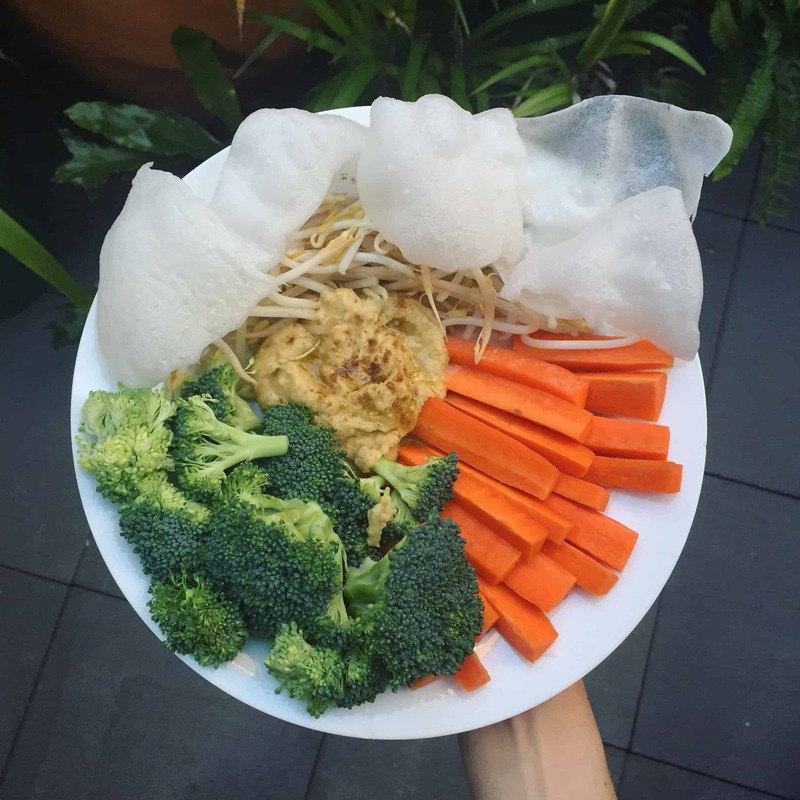 The white things are puffed sheets of rice paper. Good info! Sticking to a good diet plan is the ultimate solution for effective weight loss. I always prescribe an Organic & Natural diet plan to all my clients as a solution for weight reduction. It has shown significant results on all of them. You can find more details on the diet in my website.